Not only do books provide a way to escape, but also a way to learning and coping with various life experiences. 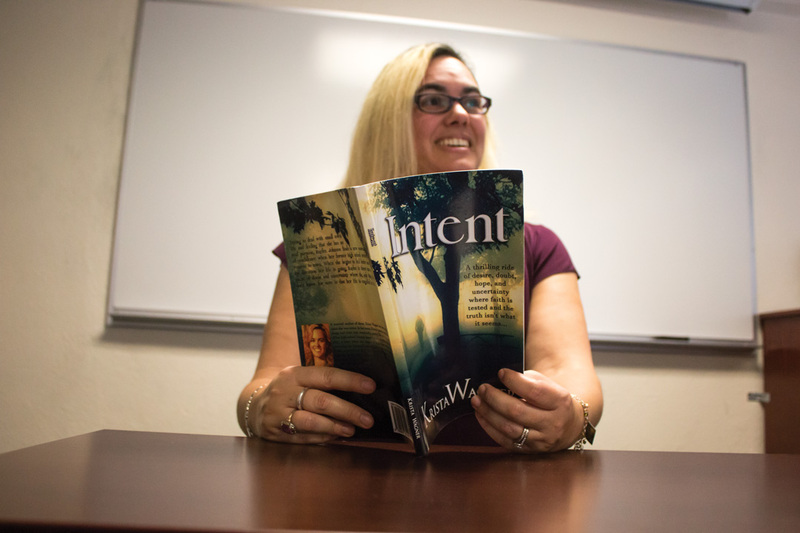 Krista Wagner, adjunct professor of English at California Baptist University, is the author of four novels ranging in themes from wrestling with faith to bullying. Her most recent published work is titled “Indigo” and tells the story of a high school girl who, through peer pressure, spirals into a life of depression and sin. Though “Indigo” is technically considered non-fiction, Wagner receives a lot of her inspiration from personal experiences. However, for her debut novel “Intent,” Wagner said inspiration came from a more divine source. “The inspiration came from God and God alone. . .The story and its characters came at me in surprising and amazing ways, entirely God-breathed,” Wagner said. All four of Wagner’s novels have been received with a great level of positivity–rewarded with an average of 4.5 stars in its Amazon reviews. As both a successful author and English professor, Wagner has a demanding schedule; however, making time to write has always been a necessity. Wagner has always enjoyed writing. She wrote her first piece at the age of 7. “I look at writing, like teaching, as something I must do. If I make excuses, I will never do it, so I look at it as a necessary process,” Wagner said. As for future writings Wagner has plenty planned. Stemming from her novel “The Gold,” published last year, a sequel piece is in the works. With every issue present in Wagner’s novels relevant to everyday life, Wagner said she hopes reading will not only bring comfort and closure but more importantly, an introduction or rededication to God. “(The readers) will realize their worth in God by recognizing that it doesn’t come from man,” Wagner said in a press release. All of Wagner’s work is available for purchase on Amazon.